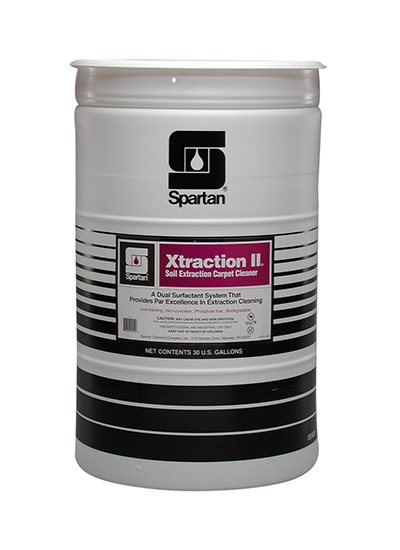 Xtraction II is a fast acting, heavy-duty carpet cleaner for use with hot or cold water extractors. Featuring a power boosting dual surfactant system, the low foaming solution leaves no residue to contribute to resoiling. Xtraction II does not create unnecessary suds which may clog equipment or inhibit the efficiency of vacuum pick up.